THE Oro Youth Development Council (OYDC) has asked the House of Representatives to reconsider their proposed bill that seeks to lower the criminal liability age to nine years old. In its statement Tuesday, January 22, the council condemned the proposal that was passed in the House but they still insist that it is still subject for debate at the Senate level. "This is an ominous regression of the Philippines. Hailed as a model for championing Children’s’ rights, the Philippines is a signatory to the Convention on the Rights of the Child," the statement said. It added that rather than reducing the age of criminal responsibility, focus and resources should be given to improving the diversion and intervention programs for children and the youth, and "punishing more those adults who use children as pawns in their crime." "Records reveal that only 1.72 percent of crimes are committed by children thus reducing the age does not only violate our international commitments, it is also hinged on flimsy reasoning," the statement added. 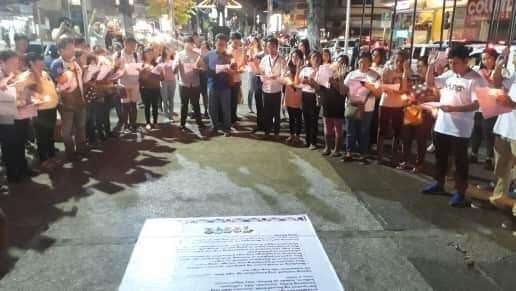 On the same day, OYDC called on the youth and adult supporters to gather in the city's public gathering center in Kiosko Kagawasan in Divisoria to amplify their sentiments on the matter. However, two youth leaders in the city somehow agree to the lowering of age, but it should be given ample amount of consideration and not just be met with an easy approval. Wendy Ramos, a Sanggunian Kabataan (SK) councilor in Barangay Macasandig, said that children at the age of nine should receive discipline first in the family, although she sees the House of Representatives' proposed bill as a "reminder." "There are advantages and disadvantages (on the proposed bill). There are many factors to consider - parents, friends, and environment," she said. Suzanne Martil, SK chairperson in Barangay Tablon said that she agrees, too, but the minimum age should be 12, and not nine years old. "The law should instead make a stiffer penalty on adults that use children to work for their criminal activities," she said. 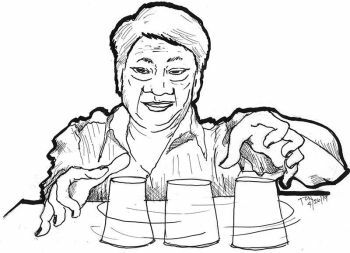 "If proven that parents or guardians were teaching the children to sell shabu, or kill people, I think that needs to be addressed by taking them to DSWD (Department of Social Welfare and Development), BCPC (Barangay Council for the Protection for Children), and CSWD (City Social Welfare and Development), in order to protect their rights and have them reformed," she added. The head of the CSWD office, Teddy Sabuga-a Jr., who is also the City Administrator, said that their position is aligned with the Regional Juvenile Justice and Welfare Committee for Region 10 (RJJWC-10), which they are signatory, that issued a resolution on April 21, 2017. In the RJJWC-10 resolution, the council is supporting DSWD's opposition of an earlier House Bill (HB) number 935 that seeks to amend the a provision in Republic Act 9344 or the Juvenile Justice Welfare Act of 2006, and HB 3973 that aims to lower the criminal age liability to nine years old. "If this data is true that only two percent of crimes committed by minors (who are) nine-year-olds. The question is why would (the other) 98 percent be affected? Crime prevention is a function of good governance, especially security. State resources should be focused on keeping children in school and protected from lawless elements," he said. 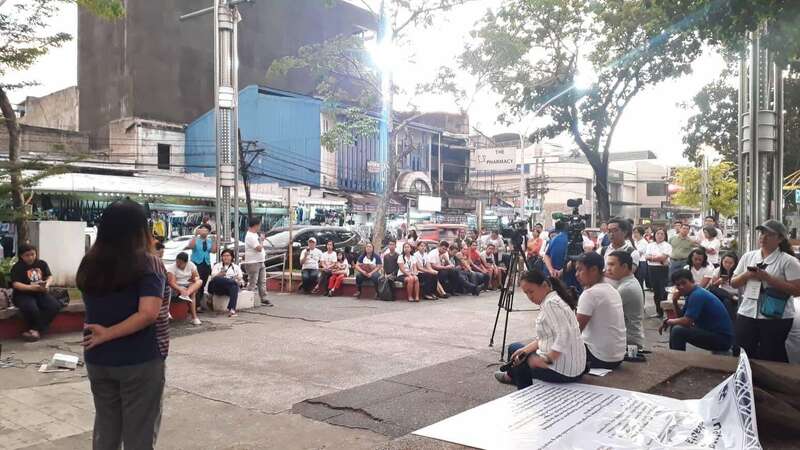 Charmaine Tadlas, information officer of the Department of Social Welfare and Development in Region 10 (DSWD-10), said that they are still awaiting an official statement from the central office as to how the agency stand on this issue. "We are still waiting for the (DSWD) Secretary's statement regarding the issue. We will disseminate his statement once his office releases it," she said, referring to DSWD secretary Rolando Bautista, who was the former Presidential Security Group chief. The police force in the city and Region 10 also said that they are optimistic that lawmakers will consider many things before finalizing the bill to become a law. Police Superintendent Mardy Hortillosa, spokesperson of the Cagayan de Oro City Police Office, said that they don't want to preempt the bill, but they are sure that there will be guidelines or implementing rules and regulations stipulated when it comes to law enforcement dealing CICLs as young as nine years old. "We also expect that the lawmakers will study closely on finding different approaches on giving (intervention to) minors, and their rehabilitation," he said. Police Superintendent Surki Sereñas, spokesperson of the Police Regional Office 10, also said that he believes that lawmakers are aware of the international convention on child protection. "There will certainly be safeguards like distinction between children and adults. If not, this law could be detrimental to CICLs," he said.